The only thing more precious than a child is a child’s imagination, and most parents don’t appreciate anyone tampering with it. But that’s what happens in author Julia Dweck’s latest ebook release, Faux Paw: A Bear’s Story. In the book, a student named Walden Bear has big dreams about what he will be when he grows up. He wants to be, what else — a bear. Unfortunately, this throws his teacher, Mrs. Hunter, for a loop, and she assures him that he can be no such thing. But Walden’s mother sees things differently. 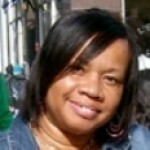 She’s just as creative as her imaginative son, and tells him he most certainly can be anything he wants. To prove it, she sews him a bear suit out of faux fur and sends him growling off to school. At first the other children are leery of Walden in his bear suit, but before long, their own imaginations begin to soar. A boy named Bradley Wolf decides he wants to be a wolf, and the other children become the clucking, oinking, barking animals of their dreams. Unable to accept such individuality, Mrs. Hunter quits and is replaced by a new teacher named Mrs. Lions, who, of course, loves to dress up like a lion. 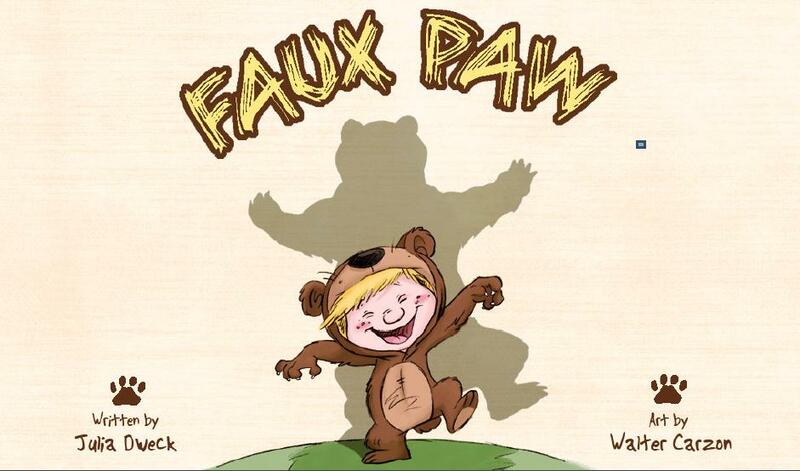 Although the premise of self-acceptance,imagination, and asserting one’s individuality is nothing new to the world of picture books, Faux Paw still manages to be a fun and original read. Ms. Dweck’s prose is sprinkled with humor, the book’s pace is lively, and the illustrations are some of the most adorable I’ve seen in a long time. 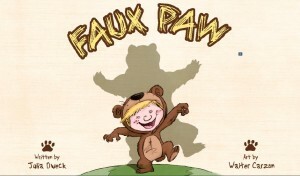 In addition to being a great book for emerging readers, Faux Paw can spark all sorts of creativity. It can even reinforce the importance of family and parent-child bonding. This one is worth adding to your classroom’s collection.